Beauty tips for women provide guidelines to flatter and compliment your look further more with same excellence as of an expert hand. Ladies, overcome your troubles regarding all aspects whether it may be to bring the necessary shine in your rough, dull hair or remove the puffiness of your eyes and the age-old tan or to just experiment the latest makeup tricks of smoky eyes and perfect blush for a sassy night out! These need-to-know techniques help you beautify form head to toe to add that extra oomph factor to your profile. Get all your tricks and tips in one place relieving yourself from the everyday concerns and follow these top beauteous tips for you ladies. 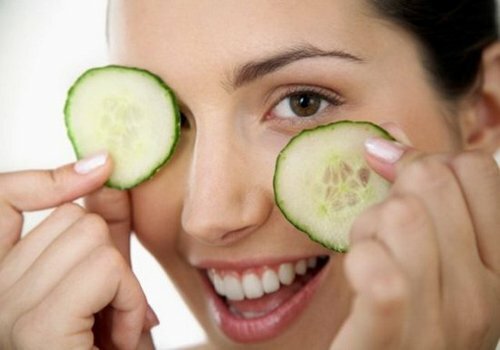 Get rid of puffy eyes and dark circles with the ancient method of soothing your eyes with teabags or cucumbers giving them the much-needed cooling sensation and relaxation. Who among us hasn’t been victim to the awful skin tan during this season, the principle worriment being the ultra-violet rays related skin diseases. Employ natural methods to treat and lighten a sun tan to restore your original complexion. Exfoliate the affected areas as much as you can with aloe Vera gel, one of the best soothing agents in nature. Apply it before going to bed. A natural paste consisting of lemon juice, tomatoes, yogurt and honey applied on the tan 3 times a week gives excellent results. Hair Tips- Say NO to hair damage! Gone are the bad hair days and say hello to Luscious, flowing hair with the following do’s and don’ts. Go green and employ a lot of seasonal fruits in your diet for better looking, shiny hair. Grains and dairy products feed your hair in a way that you need not worry about the waistline. Make conditioning your best friend. Your hair needs all the moisture so include a conditioning schedule after every wash as a must in your to-do list. Need to out grow your hair at a fast pace? Trim hair well and often. There is no substitute for the kind of flawlessness brought on by the voguish makeovers. The in-demand look of the season is the smoky eyes innovated through various ways. The main concept behind it is to spread the eye shades till the ends of eye-lids and with an expert use of preferably black eye shade. A unique way to curl up the lashes, giving it maximum volume is to curl up the lashes inwards creating an extended and seductive length to those eye lashes. Ladies, follow these cutting–edge beauty tips for women and award yourself with admiration and compliments throughout the day for a ten on ten look with confidence and boldness.